When the family run strip pub closed because of rising rents the strippers lost their place of work. 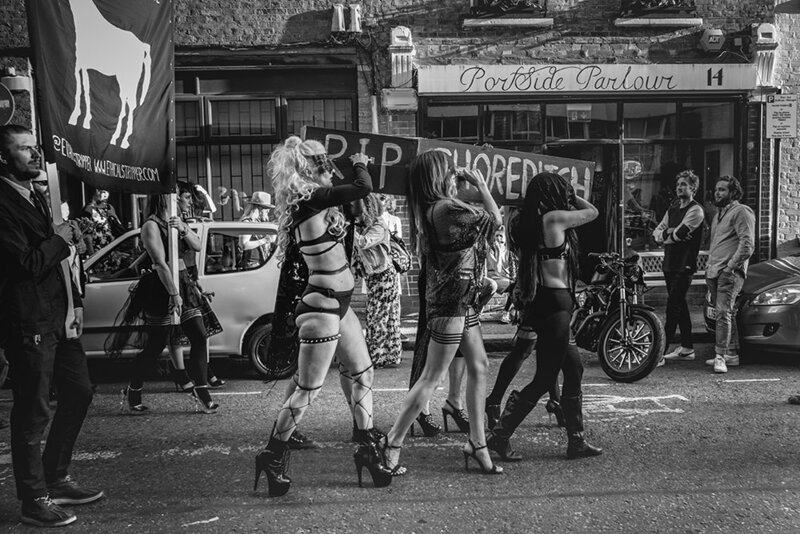 The East London Strippers Collective protested with an 'RIP Shoreditch' New Orleans style funeral procession on 14th August from the White Horse pub, along Rivington Street; and ending at the Red Gallery with an exhibition and a party. The atmosphere was electric with the beautiful ladies in their strippers costumes carrying a life-size coffin, accompanied by fabulous jazz music provided by a saxophonist and a drummer. 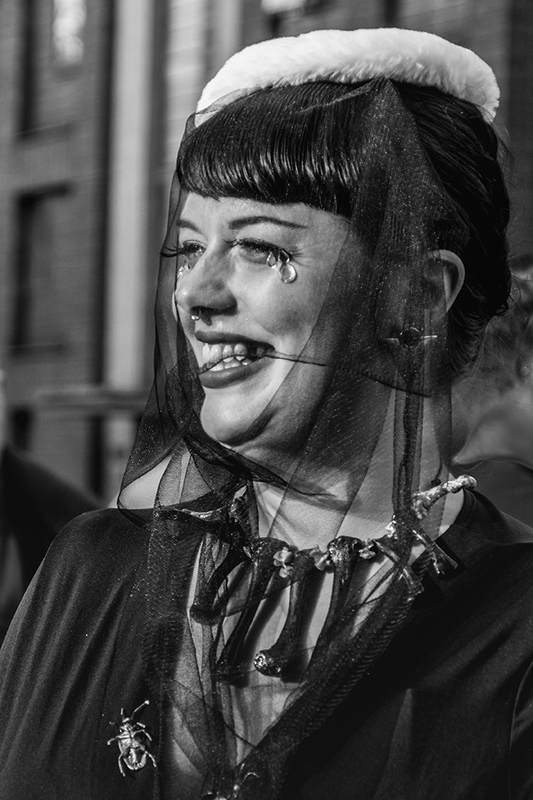 I was so caught up with emotion and sympathy for the strippers that, after photographing the procession, I joined the procession with flowers in my hand. Has Shoreditch just lost more of its wildness?